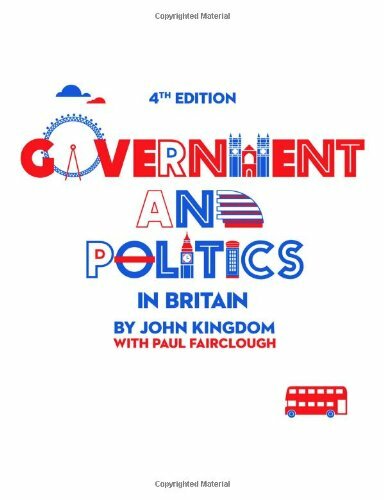 The fourth edition of this popular textbook aims to offer a comprehensive introduction to government and politics in Britain today. Set against the turbulent background of a world in economic, ideological and religious flux, the book analyses key developments in twenty–first–century British politics – from the collapse of the longest–serving Labour government to the challenges posed by coalition politics and the decline of public trust in the ruling class. This is a handbook for anybody wanting to understand British politics, and is a worthwhile addition to the bookshelves of politics students, writes Scarlett MccGwire. Government and Politics in Britain, 4th Edition. John Kingdom with Paul Fairclough. Polity Press. February 2014. This must-have book for any student of British politics could be subtitled ‘Everything You Wanted to Know About Power In Britain But Were Afraid to Ask’ as it is a veritable cornucopia of information, analysis and provocative criticism aimed at a thorough understanding of this country’s government structures, how they work in principle, and how they operate in practice. It could also be called ‘Why Politics Matters,’ for the underlying message is that far from being confined to Westminster, politics affects all of us. As John Kingdom and Paul Fairclough put it: ‘A political system does not stand above society as an autonomous machine; it is as much part of society as our weather system is part of the planet’s ecosphere.’ Or in another passage: ‘No-one is unaffected by politics…it is about the way people organise their lives together in a community. The important collective decisions shaping the very quality of life – concerning wealth, health, education, morality – are all essentially political in their nature’. No dry rehearsal of facts but written to engage the reader, in over 800 pages the authors put the workings of the British government in context – historical, ideological and social. From Britain’s place in the world, through voting and political parties, to the workings of government, and finally the legal system and law and order – society‘s rules and customs are examined. Each chapter is placed in historical context and the facts are buttressed by opinions from politicians, philosophers, and even academics (always referenced) so the reader understands the evolution of our system with its strengths and weaknesses. The text is leavened not only by the occasional photograph, cartoon, and graph but in the margins pungent and witty factoids and quotes. (Pebbleology? The ancient Greeks voted by placing pebbles in jars. The Greek word for pebble is psephos. Hence we have ‘psephology’.) Every topic concludes not only with key points, questions and further reading but also suggestions ‘for reading around the subject and some light relief’, which includes novels (some satirical) and films. In every chapter the facts are laid out then examined. Thus the ins and outs of public expenditure are explained, and put into context – not dry economics but an understanding that they are ‘an expression of community’. In fact, the authors see government spending as the very cement holding the building blocks of the UK together – ensuring national security, preserving its culture, and guaranteeing social rights through welfare policies which lead to decisions affecting the quality of all our lives. It lifts the lid on the departmental slicing of the cake: ‘a process of negotiation has entailed a protracted series of ‘bilaterals’ between each department and the Treasury, having more in common with a north African souk than a rational decision making process; yet the outcome is nothing less than the policy of Her Majesty’s Government.’The authors show the dynamism of politics. The chapter on the constitution, rather than a dry run through of legislation, reveals the tensions between rights we take for granted – freedom of speech, person, association and assembly – and government incursions into them. Of course, unlike the United States and much of Europe, Britain does not have a written constitution, but this could be seen as a strength because it gives parliament the ability to bring in radical legislation instead of the straightjacket the US constitution provides. However, the downside is that the rules keep changing, robbing us of stability. Ultimately the book is about power, for that is the basis of politics: where it lies in the state, who has it and who does not. It contrasts the media coverage of demonstrators and those taking on the state with the quiet but constant meetings of civil servants and ministers with the rich and powerful away from the public gaze, where opinions are changed and shifted. As the authors say: ‘where real power lies is the greatest conundrum of the study of politics’. They examine the conflicted relationship between politicians (elected but temporary) and civil servants (unelected but permanent), yet each group would say power lies elsewhere. Allusion is briefly made to the transnational corporations and financial institutions which operate beyond the control of any state – but this is a study of the public realm. Power is examined through the lens of equality – gender, race and class – and found wanting. While women and people from ethnic minorities have clawed their way into positions, they are the minority – yet the greatest indicator of power is birth, for the privately-educated dominate every institution. As the authors attest: ‘The pattern of economic power moulds the space in which politics is enacted. The struggles of those representing the poor and underprivileged resemble that of Sisyphus’. This is a handbook for anybody wanting to understand British politics. It can be read straight as an introduction to the subject but is designed to be studied over months (or years), each chapter building on the previous one. A worthwhile addition to the bookshelves of politics students. Scarlett MccGwire is a communications consultant working with a variety of organisations. Specialising in political communication she has worked with social democratic parties in the UK, Easten Europe, the Balkans, Africa, and the Middle East. She is a Trustee of Democratic Audit. Read more reviews from the LSE Review of Books by Scarlett.